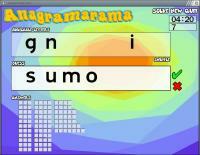 Anagramarama - a FREE* word game for AmigaOS4. The aim is to find as many words as possible in the time available. Get the longest word and you'll advance to the next level.